Many hotels charge to access Wi-Fi, but it's a divisive issue. (CNN) -- We asked what you thought about hotels charging their guests to access Wi-Fi. As the subsequent influx of tweets and story comments showed, the issue generates strong and often divisive opinions. Some of you said that hotels charge exorbitant rates to access the web because they know guests have no other option if they want to go online. Others said that the cost of installing and maintaining a reliable wireless network for use by hundreds of people at a time comes with extensive costs that hotels must recoup through user charges. But is the issue as simple as that? Individual hotel policies on internet access and pricing are almost as divergent as the opinions the subject creates. Some mid-to-low budget hotels provide free access throughout their facilities while others only do so in selected areas, such as in the bar, lobby or restaurant. At the other end of the spectrum, some five-star resorts have been known to charge more than $40 a day on top of room rates for guests to access the web. While some respondents were near evangelical in their demands for free web access, others said they were quite happy to pay for the internet as long as the price was reasonable and commensurate with the service received. Among them, Jingledew commented: "I'd happily pay a buck or two for the convenience of a connection, but $10-$30 per night on top of $150 room is just pure extortion. If it was a true hardship, no hotel would offer it free." Another popular theme to arise was that hotels that charge for internet access are damaging their own commercial prospects when others are providing the same services for free. "Hotels really need to review their business model: overcharging for food, (telecommunications) and in-room entertainment is getting old fast. Even business travelers these days give some pause to paying for (convenience), we do have to justify those expense reports to clients more and more." Others contended that hotels are well within their rights to charge for the costs they incur for for providing internet services to their guests. 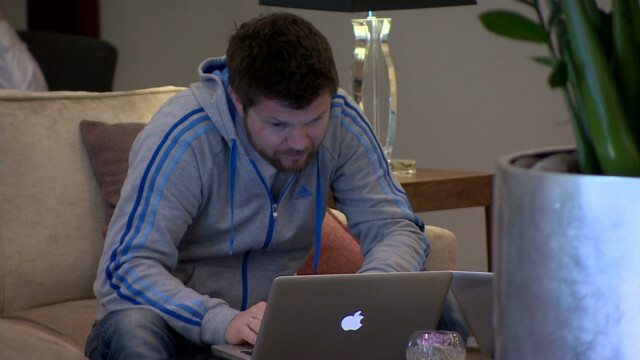 Dkf295 commented: "I work for a company that installs and supports hotel Wi-Fi. People expect four to five bars signal and enough bandwidth to stream video at all times. "For a 200-room hotel at close to full occupancy, where half the occupied rooms are using the internet, that's 1Mbps a person -- if they're paying for a 100Mbps fiber circuit that can easily cost $750 or more a month. What if they've got a bunch of business travelers using up more bandwidth? What if they're watching Netflix on one device and browsing on another? "A solid, reliable network might cost a quarter million dollars for such a hotel too ... if you need to spend a quarter million dollars every four years for a new network, 40 grand for the ISP, $12,000 for 24/7 tech support for the network and its guests, as well as money for any maintenance or equipment failures, suddenly charging people for internet makes a bit more sense." And some of you supported a tiered-payment structure, where basic Wi-Fi is free but users pay for using more bandwidth. "I support that method. I think that's perfectly reasonable," said nordicnews. CaptainVic commented: "You don't expect to pay for standard TV in your room, but you (do) for 'pay per view' movies. So the same should apply to Wi-Fi. "The acid test of any tiered system will be an acceptable level of base connectivity, and the option to pay for a step up in bandwidth, be it for rich media streaming or to avoid the automatic hourly drop outs which is so annoying when you are trying to keep a remote connection open to your office network." But many of you felt that these days, unlike many hotel facilities, free Wi-Fi is an essential. 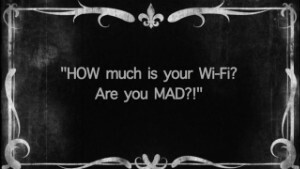 Aznsk8s87 commented: "In this day and age, it's completely unreasonable to charge for Wi-Fi. If you're traveling internationally, odds are that you need the internet in order to conduct business. "Fortunately for a lot of international business travelers, this will go on the company tab. But even so - it's a service that is far more important than pay-per-view or whatever is in the minibar."